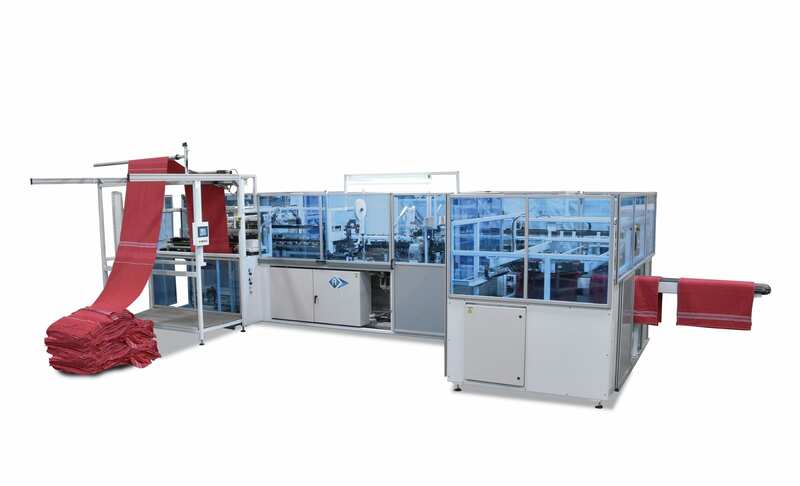 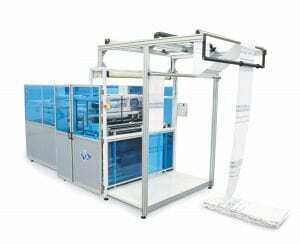 Automatic Terry Towel Sewing Line complete with In-Line Decorative Label Applicator, Cross Hemming, Inspection & Folding Sections. Automatic terry towel cross cutting unit. 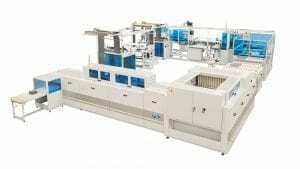 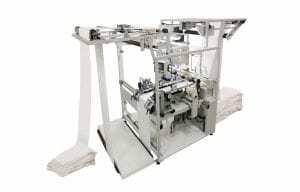 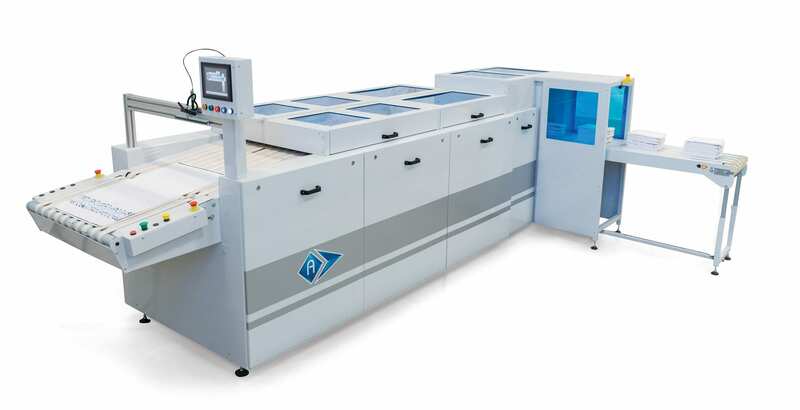 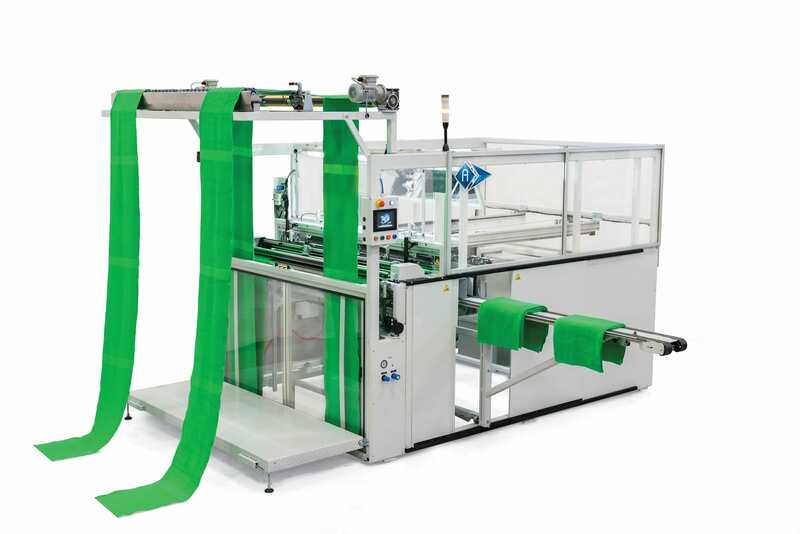 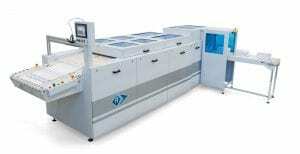 Automatic 2-lane Terry Towel Cross Cutting Unit. 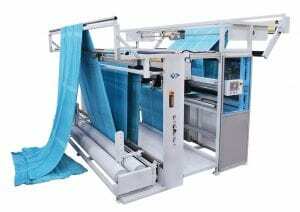 Automatic Terry Towel Cross Hemming Unit. Automatic Terry Towel Precision Folding Unit. 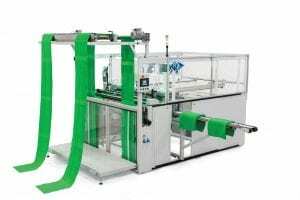 Flexible Folding Unit for all type of Towels & Beach Towels.